The Ministry for the Environment in New Zealand are very supportive of a shift towards circular economy. In 2018, the focus of the waste minimisation fund is circular economy. Again Again designs out waste by providing a fleet of reusable steel cups available by deposit and return at any participating cafe, enabling coffee drinkers anywhere to save the planet with every convenient, guilt-free sip. Again Again cups are 304 stainless steel. This is the highest grade stainless steel, rated for food preparation and certified to FDA standards. The steel does not degrade and the cups can be used indefinitely, limited only by damage or loss. If damaged, Again Again will recover the steel and have it recycled locally in New Zealand. The lids are silicone. The silicone is certified safe to FDA standards. Silicone is not convincingly recyclable. It is not recyclable in any commercial capacity in New Zealand. There are limited options for this internationally either, where it is cost prohibitive. We assert that with a reuse factor of 500 times, we are diverting that many single use lids from landfill. We plan to stockpile damaged, and end-of-use lids while we continue to explore new options for recycling. We expect to validate our assertions once a commercial business model has been developed. We recognise that from the point of view of sustainability that the lids are the weakest part of the Again Again system. It is notable that current options for lids are either silicone, plastics, or plant base compostable plastics. See here for a discussion about the comparison between reusables and compostables. In the case of the lids, we have chosen what we believe to be the lesser evil. We encourage you not to take use a lid if you don't need one. The heat sleeves are paper, from FSC certified sources, printed with non-toxic dyes. We encourage you to reuse these where you can, and provide receptacles for these in each cafe. At the end-of-use of the heat sleeves, they can be directed to paper recycling or to your home compost. Most businesses have paper recycling systems and paper recycling is also available domestically in curbside pickup in many cities. Paper and card are recycled in New Zealand. If paper escapes into the environment it will break down rapidly without releasing toxins. Some people have very reasonably asked ‘why have a heat sleeve at all - doesn’t this just create waste?”, and it is fair question. We chose to use a two part system (metal cup and paper sleeve) in order to a) avoid a plastic cup, which was the only other real, commercially viable solution but of course comes with the much larger end-of-life issues that are the exact problem we are trying to solve, and b) to allow large industry players the branding opportunity that is currently available to them with a disposable cup. While marketing may not be a top priority to those concerned with waste, by doing this we are able to invite these large players into the system on their terms, and expect that they can be in a combined system with their competitors without losing their unique brand proposition. The implication of this is that the system can be massively scaled and thus create massive impact. This is playing out. Watch this space. 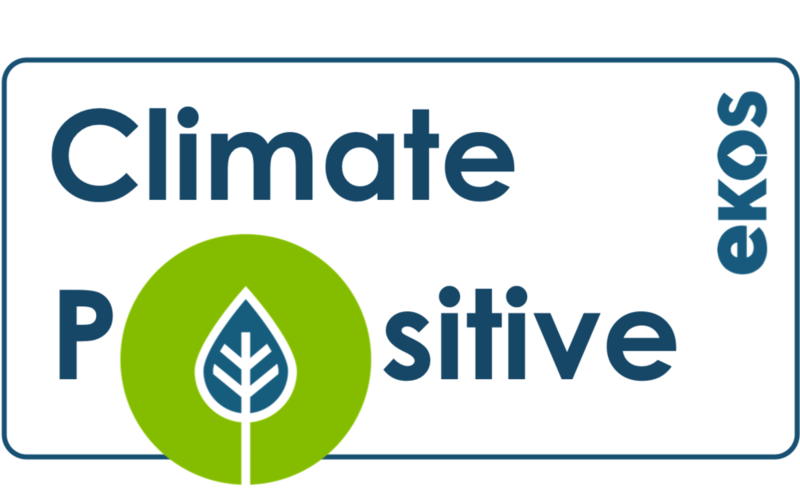 Again Again is proud to be Climate Positive. We have measured and offset 120% of our carbon footprint with certified carbon credits for our business operations for the first six months of trading while we complete the pilot. This footprint excludes the lifecycle of the cups. These certified carbon credits are sourced from projects that grow and protect indigenous forests in New Zealand and the Pacific Islands and help to deliver climate resilience, waterways protection, erosion control, biodiversity conservation and community economic development. We have completed our carbon accounting and offsetting with Ekos. Ekos is an international non-profit enterprise that develops, pilots and scales up innovative approaches to financing a sustainable future. They rock. Again Again is also a for-profit social enterprise. We are a limited liability company, combining purpose with profit. This keeps us sustainable and in it for the long haul. We have committed 3% of our revenue from service fees to be reinvested into waste minimisation impact initiatives. Initially we will partner with Sustainability Trust in Wellington, and Kaipatiki Project and EcoMatters in Auckland. for the delivery of these initiatives. They rock too. Business matters too. By providing the brandable sleeve opportunity to vendors, Again Again provides a platform for otherwise competing businesses to work together without diluting their individual brand strengths. This powerfully enhances the share capacity of the scheme and is a strong indicator of uptake and success.